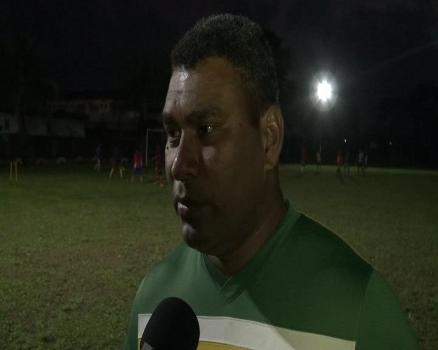 The inclusion of Fiji Under-20 and 23 reps in the Rewa football side is a major boost for coach Marika Rodu ahead of the Inkk Mobile Battle of the Giants starting Friday in Nausori. The likes of Iosefo Verevou, Garish Prasad, Tevita Waranivalu, Viliame Bawai, Setareki Hughes and Ratu Savenaca Nakalevu have boosted the Delta Tigers defence of the title. Rodu says the inclusion of the national reps is a bonus to his side. Rewa plays 4R Electrical Ba in its first match at 7.30pm on Friday. In other matches, Shop and Save Lautoka plays Tailevu Naitasiri at 1pm, followed by the Jedi’s Suva-Jacks Nadi match at 3pm. At 5.30pm, Fulton Hogan Labasa takes on Gecko’s Trucking Nadroga.